When you wind it up, the eyes start rolling from left to right. 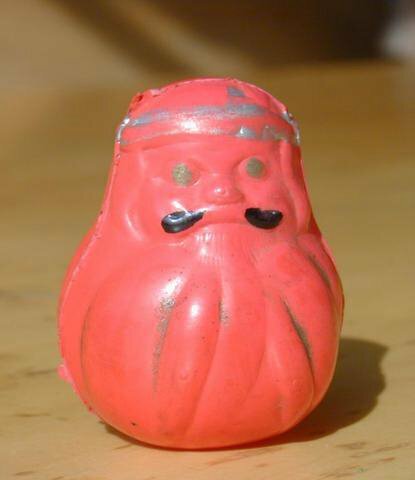 buriki, from the Dutch blick, German is Blech.
. . . CLICK here for tin toy Photos ! 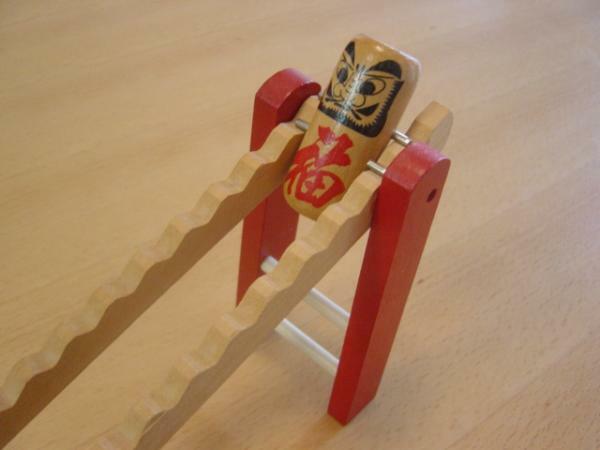 Makes little noises as Daruma falls down the steps. 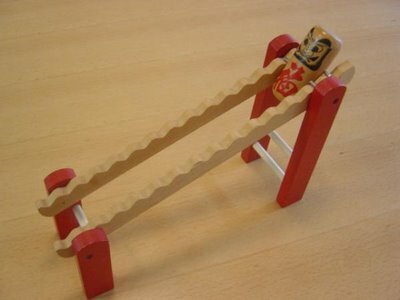 Gangu 郷土玩具 Folk Toys - with FOOD !
. 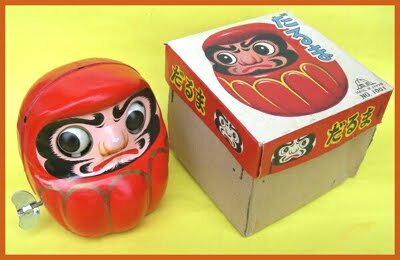 gangu 玩具, omochcha おもちゃ toy, toys - Legends .
. Old Toys, including Daruma . 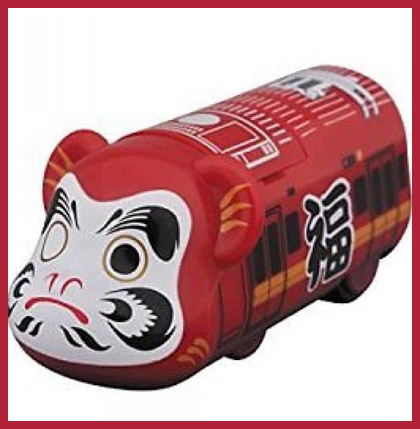 The terms gashapon (ガシャポン) or gachapon (ガチャポン) refer to a variety of vending machine-dispensed capsule toys popular in Japan and elsewhere. 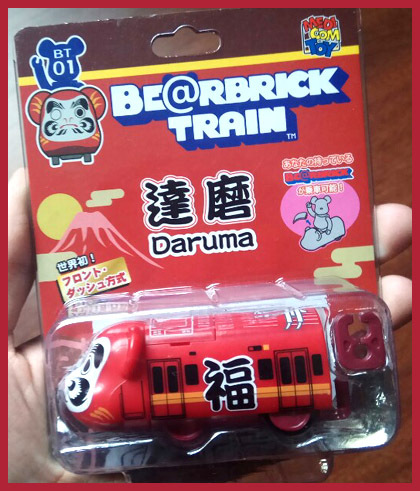 even with Gashapon Daruma !